strange visionary and a gay man. Tom is the father of Liz. a mother is a parent who is female. a grandmother is a mother of a parent. A mother is a parent whoo is female. X is the mother of ' if X is a parent of Y and X is female. and display the result from the smallest one up to the greatest. The positive integers on stdin are terminated with a zero. 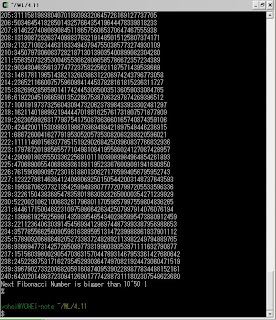 to display all the Fibonacci numbers smaller than 10~50. My last experiment class was to learn how to control a robot in order to move a robot against the wind automatically. For that, I got two tasks. The tasks were to control a robot in simple ways as a Teach Assistant said. It’s because to learn how to control a robot at first. The robot has a display, terminal, and some architecture to be needed to compile C source code. 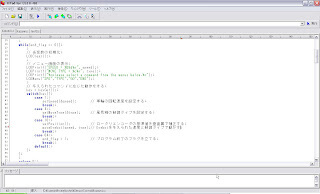 In addition, there is a library which contains a lot of C source codes to control the robot. 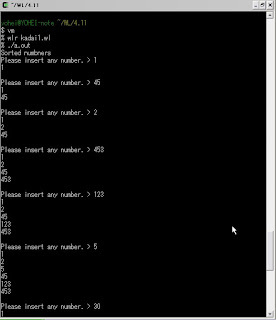 So, I can control the robot by C language, and I learned how to control the robot through the tasks. Therefore I’ll be able to move the robot against the wind automatically in next experiment class. Do you want to know about vending machines? That’s great! It’s because the vending machines have enhancement right now. So, I'll tell you all about them from general description to advanced example for the future, in order to understand them deeply and why they have enhancement. Generally speaking to a feature and appearance, a vending machine is an automated machine where we can buy various goods such as drinks and foods. The machine is fully automated, and is thus unmanned. It’s as big as a refrigerator and has three parts. One is a slot part where we can insert coins and bills. Another is a selection part which has a display and buttons for showing and choosing the goods. The Other is a covered area where we can collect the goods. Next, let’s move on how to use vending machines. It’s quite simple to use them. There are only two steps to buy goods from a vending machine. First, insert the appropriate amount of money into the slots, and then choose the goods by using buttons on the display. That’s all! After making a selection, the goods will drop into the covered area, so you’re able to take the goods out of the vending machine. It’s quite simple, isn’t it? Up until now, most vending machines functioned in this manner around the world. However, that’s the general description just until now. There is a new generation of vending machines in some parts of the world. I mean that there are possibilities that the description of vending machine will be added. As an example, I’ll tell you two unique functions which the latest vending machines in Japan have. The functions are electronic money and a wireless LAN functions. These functions are expanding two possibilities of a traditional vending machine. Those are on the points that more users friendly and multi-functional. One, the new machine is users friendly in that we can purchase goods with electronic money such as a prepaid card. So, we need only to tap the panel with the prepaid card. The other, with the having wireless LAN application built-in, the new machine can be used in various ways. For example, in Japan, there are some vending machines that we can access the Internet via using our own computer. Other, some machines can show information such as advertisements or a weather forecast like a television. In addition, some new machines can also provide food and drinks for free in the event of a natural disaster. They all examples are based on the reason why manufactures can manipulate the machines using the wireless LAN. These are the unique functions. The functions mean the new vending machines are expanding possibilities. Additionally, if the new vending machines are set up everywhere, the new vending machines will become an essential tool of the ubiquitous society and reserve supply for the natural disaster. Hence, the vending machine is enhancing right now. If you are interested in the vending machine, you should come to Japan, and feel that on your eyes. That’s all. Thank you for your listening! the destruction of the world: Civilization is on the brink of apocalypse. to become involved in a situation in order to improve or help it: The President intervened personally in the crisis. a person or spirit that gives a writer, painter, etc. She accepted the criticism with quiet dignity. a person, team, country, etc. Now, a Vending Machine is so popular in Japan that we can say it as a Japanese culture. So, explain it FREELY to the foreigner who doesn’t know it, as UNIQUE as you can. You wanna know about a vending machine? OK, I'll explain to you what it is. In the general meaning, a vending machine is the machine for vending various goods such as food and drink automatically. So there is nobody to vend without the machine. The size of it is as big as a fridge, and there are some objects on it for a costumer to buy goods. Generally, those are three slots, buttons, and a display. The two slots are fit on for dropping into a coin and paper currency. The other one is fit on a bottom part of a vending machine for taking goods. Addition to it, a display and buttons are also necessary for showing and choosing goods. But it’s quite simple to use it. If you want to buy goods from a vending machine, you have only to take two steps. First, drop enough money to buy goods into the slots, and then choose the goods on a display by using buttons on it. That’s all. After choosing goods, it drops a bottom slot, so you’re able to take the goods from a vending machine. It’s simple, isn’t it? Anyway, that’s the general way to buy goods from a vending machine. But, that’s the just general expression what a vending machine is, until now. A vending machine in particular place has changed for next-generation. Guess what? Recently, as improving IT, a vending machine is going to progress. For example, a vending machine in Japan is so popular and unique in the world that we can say it as one of Japanese cultures. It’s just because it has unique functions. So, let me extra explain about what it is. Some vending machine in Japan has an electric money function and wireless LAN application built-in, and it makes Japanese circumstance better on three points. Those points are friendly, serviceable, and safe. At the friendly point, the vending machine has a terminal to pay electric money by using a prepaid card. It means that it’s no time to buy goods. So, we have only to touch a prepaid card to the terminal. So to speak, Japanese circumstance will become friendly. At the serviceable point, having wireless LAN application built-in, we’re able to have the access zone to connect a personal computer to the web. In addition, if it also has the display like a TV, it can show information such as advertisement and forecast. Therefore, we’re able to get information conveniently from the vending machine. At the safe point, drinks or foods in the vending machine can be essential goods when natural disaster happens. It means that goods in can be retrieved from the vending machine in disaster area for free. 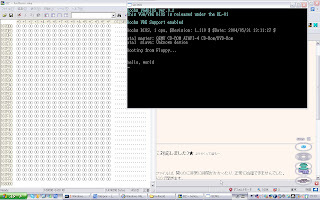 It’s because a maker of the vending machine can switch the mode of the vending machine, by using the wireless LAN. That’s the expression of the vending machine in Japan. How do you think about that? I think a vending machine has more possibility to progress than the Japan case. Don’t you think so?